We are busily preparing for 99 Spirits‘ much awaited Steam release. As it’s our first game there, most of the features and their use are new to us, but the transition has gone surprisingly smoothly (thanks to the efforts of Tony, our resident walrus). Right now, we have finished implementing Steam Trading Cards and Cloud Saves to 99 Spirits. What’s taking most of our time is adding Achievements to the game, since they require a fair bit of testing and we want them to be well prepared and meaningful, rather than a compulsory chore. They’re great fun to work on, though! If all goes well, you will see 99 Spirits appear on Steam quite soon. 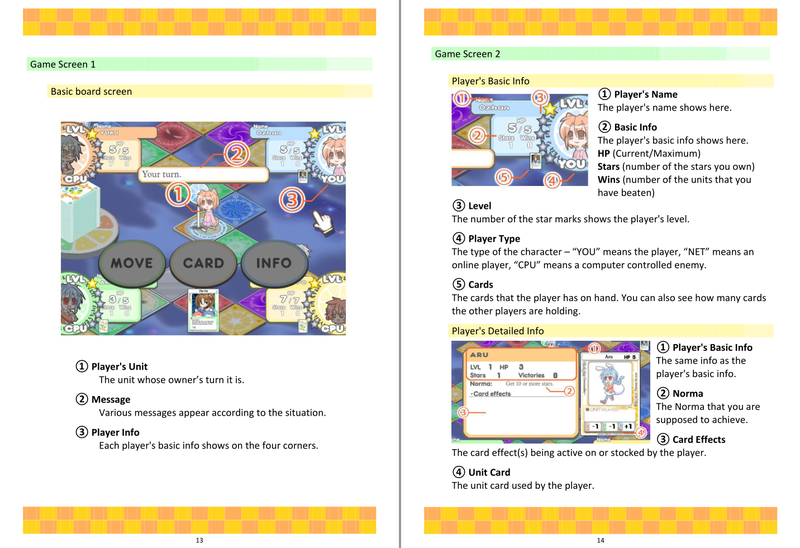 In answer to a popular request, we have finished another major undertaking for 100% Orange Juice, and can now present you with a comprehensive 52-page User Guide for the game! Learn everything about the game’s underlying mechanics and pick up tips and tricks! The guide is based on the original Japanese design by Orange_Juice, and updated with up-to-date information for our English release of the game. We hope it will help everyone struggling with any aspect of the game. 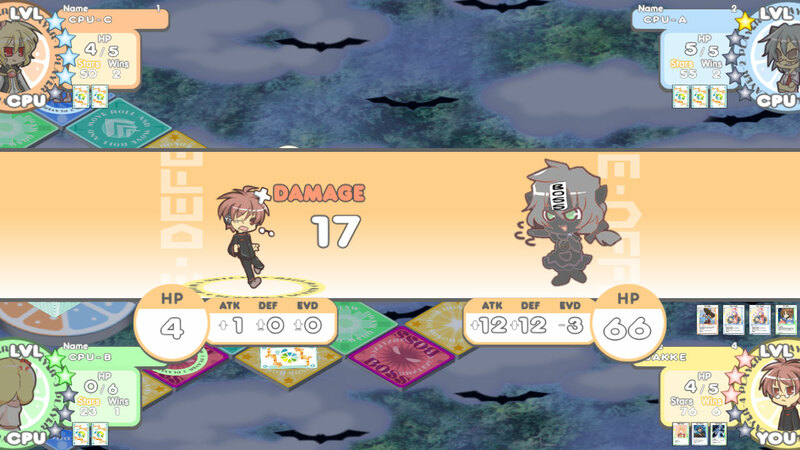 This user guide comes included in 100% Orange Juice 1.2 patch, also out today, which fixes a bug with ‘Tragedy in the Dead of Night’ card in multiplayer, as well as synchronizes players’ speed. You can also download it directly from our homepage. 100% Orange Juice is now 67% of the way toward top 100 on Steam Greenlight. War of the Human Tanks currently enjoys rank 57 of 1429 games on Steam Greenlight! We hope to see it join 99 Spirits among the Greenlit titles soon. Don’t worry, we haven’t forgotten about this series. I realize that we’ve kept pretty quiet after our previous release. It’s the holiday season and all, you know? That doesn’t mean we haven’t been doing anything though. In fact, it’s time we revealed our next localization project. And it’s coming out… today. In fact, it’s already out. We’ve had a pretty furious go at this one, the project was so fun we ended up putting the less essential things like social media, sunlight and our mortal coils aside for a while. Ozhan‘s trying to tell me the reason for our silence was that it’s an exclusive release, top-secret hush-hush, but I’m somehow not convinced. Anyway, the game. I’m sure you want to hear about the game! 100% Orange Juice is developed by Orange_Juice, whom you may be familiar with from games like Acceleration of Suguri and Flying Red Barrel: Diary of a Little Aviator. It’s an all-stars board game featuring characters from Orange_Juice‘s other games (including the aforementioned). Oh, and beautiful cards to collect. The game is totally hilarious and we had a blast with the story. 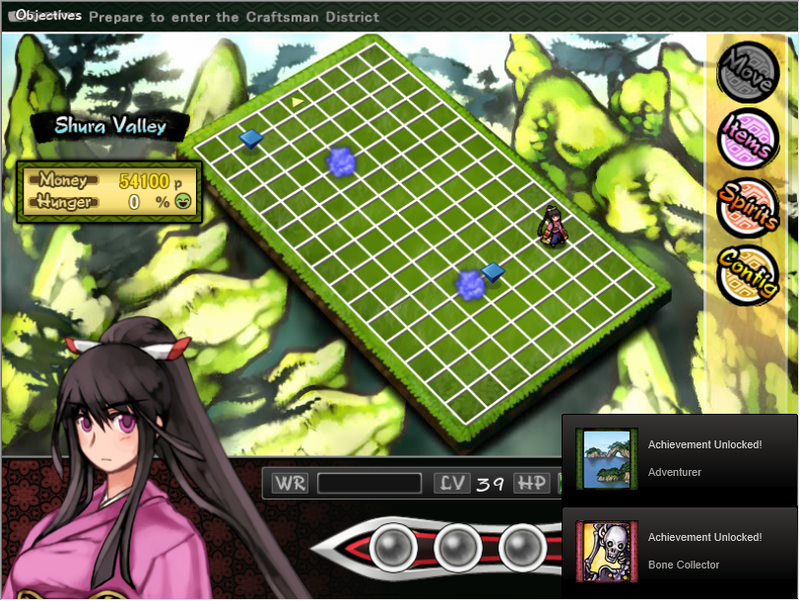 It also includes multiplayer support for up to 4 players, which is a rather rare and delightful feature to come across. We’ve actually spent most of the past week improving the Netplay code to make it easier for people to enjoy the game with their friends. You can find an in-depth guide explaining the multiplayer system here. Big shout out to our coder Tony for all the work put into the code. I could write a fair bit about the gameplay, but why not just watch the gameplay trailer instead. Oh right, did I say the game is out today? That’s right, you can get it exclusively through Indie Royale super cheap, so be sure to show some support for Orange_Juice‘s funky games. Available as long as the bundle lasts (for the time being). Make sure to drop a comment on Steam Greenlight (where we launched simultaneously) too! All games purchased through Indie Royale will get a Steam key when 100% Orange Juice is Greenlit! Let’s build a Doujin bundle! It’s time for another great offer – Groupees is hosting a Build a Bundle called Build a Doujin Bundle, which is completely doujin game themed. Based on the first day, the bundle is doing exceptionally well, nice to see so many people interested in the scene. Including Desura and Steam keys for the ones that are in Steam. Don’t miss this chance if you don’t have these games in your collection! While I’m writing this post, our first release War of the Human Tanks is the best selling indie game and the third best selling game on http://www.gamersgate.com. Can’t tell you how uplifting this news is for our team. Currently we are resting a little, recovering from the hectic period of releasing our second title 99 Spirits and its highly successful IndieGoGo campaign while also working on a couple of projects we are getting ready to announce soon. That is why our blog has been unusually silent lately, be ready to receive some announcements soon. After the successful launch of 99 Spirits we haven’t been idle either. We are looking forward to announcing full details soon, but at the moment we can say that our plans for this year include three new game projects, and a cool extra on top of that. Game Project #1 – not really a secret. If you’ve followed our earlier events you should already know what it is. 2013 release planned. Game Project #2 – an unannounced license. It’s looking quite fun so far. Planning for a 2013 release. Game Project #3 – something most of you can guess, something a lot of you have asked for. 2013 release…? We’ll see. The Extra – This is something we’ve had several requests towards, so why not, we figured. It’s a lot of work setting up, but will be a big thing for us if it works out.